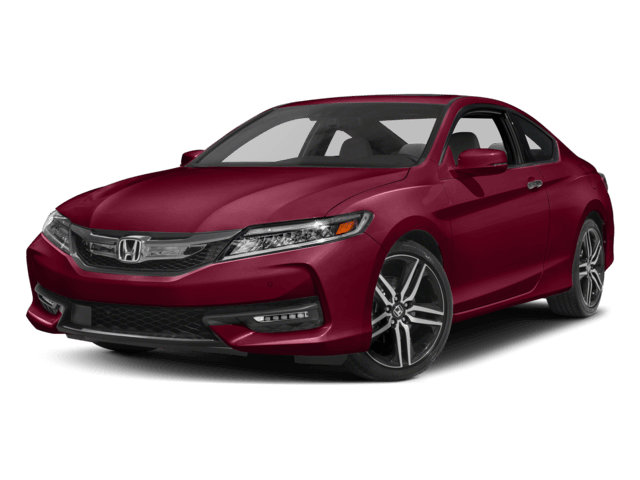 How does a 2017 Honda Accord Coupe compare to its competition in Safety Near San Antonio, TX? The Accord Coupe has standard Active Head Restraints, which use a specially designed headrest to protect the driver and front passenger from whiplash. During a rear-end collision, the Active Head Restraints system moves the headrests forward to prevent neck and spine injuries. The Beetle doesn’t offer a whiplash protection system. The Accord Coupe offers an optional Collision Mitigation Braking System, which uses forward mounted sensors to warn the driver of a possible collision ahead. If the driver doesn’t react and the system determines a collision is imminent, it automatically applies the brakes at full-force in order to reduce the force of the crash or avoid it altogether. The Beetle doesn\'t offer collision warning or crash mitigation brakes. The Accord Coupe’s optional lane departure warning system alerts a temporarily inattentive driver when the vehicle begins to leave its lane and gently nudges the vehicle back towards its lane. The Beetle doesn’t offer a lane departure warning system. Both the Accord Coupe and the Beetle have standard driver and passenger frontal airbags, front side-impact airbags, side-impact head airbags, front seatbelt pretensioners, front wheel drive, plastic fuel tanks, four-wheel antilock brakes, traction control, electronic stability systems to prevent skidding, daytime running lights, rearview cameras and available front parking sensors. Hip Force 294 lbs. 427 lbs. Hip Force 561 lbs. 804 lbs. For its top level performance in all IIHS frontal, side, rear impact and roof-crush tests, and with its optional front crash prevention system, the Insurance Institute for Highway Safety grants the Accord Coupe the rating of “Top Pick” for 2017, a rating granted to only 103 vehicles tested by the IIHS. The Beetle was not even a “Top Pick” for 2016. The Accord Coupe offers an optional Collision Mitigation Braking System, which uses forward mounted sensors to warn the driver of a possible collision ahead. If the driver doesn’t react and the system determines a collision is imminent, it automatically applies the brakes at full-force in order to reduce the force of the crash or avoid it altogether. The BRZ doesn\'t offer collision warning or crash mitigation brakes. The Accord Coupe’s optional lane departure warning system alerts a temporarily inattentive driver when the vehicle begins to leave its lane and gently nudges the vehicle back towards its lane. The BRZ doesn’t offer a lane departure warning system. The Accord Coupe’s blind spot mirrors use wide-angle convex mirrors mounted in the corner of each side view mirror to reveal objects that may be in the driver’s blind spots. The BRZ doesn’t offer a system to reveal objects in the driver’s blind spots. Both the Accord Coupe and the BRZ have standard driver and passenger frontal airbags, front side-impact airbags, side-impact head airbags, front seatbelt pretensioners, four-wheel antilock brakes, traction control, electronic stability systems to prevent skidding, daytime running lights and rearview cameras. For its top level performance in all IIHS frontal, side, rear impact and roof-crush tests, and with its optional front crash prevention system, the Insurance Institute for Highway Safety grants the Accord Coupe the rating of “Top Pick” for 2017, a rating granted to only 103 vehicles tested by the IIHS. The BRZ was not even a “Top Pick” for 2016. Both the Accord Coupe and the E-Class Coupe have standard driver and passenger frontal airbags, front side-impact airbags, side-impact head airbags, front seatbelt pretensioners, plastic fuel tanks, four-wheel antilock brakes, traction control, electronic stability systems to prevent skidding, daytime running lights, available crash mitigating brakes, lane departure warning systems and front parking sensors. For its top level performance in all IIHS frontal, side, rear impact and roof-crush tests, and with its optional front crash prevention system, the Insurance Institute for Highway Safety grants the Accord Coupe the rating of “Top Pick” for 2017, a rating granted to only 103 vehicles tested by the IIHS. The E-Class Coupe has not been fully tested, yet. The Accord Coupe has standard Active Head Restraints, which use a specially designed headrest to protect the driver and front passenger from whiplash. During a rear-end collision, the Active Head Restraints system moves the headrests forward to prevent neck and spine injuries. The Mustang doesn’t offer a whiplash protection system. The Accord Coupe offers an optional Collision Mitigation Braking System, which uses forward mounted sensors to warn the driver of a possible collision ahead. If the driver doesn’t react and the system determines a collision is imminent, it automatically applies the brakes at full-force in order to reduce the force of the crash or avoid it altogether. The Mustang offers an available collision warning system without the automated brake feature which would prevent or reduce the collision if the driver fails to react. The Honda Accord Coupe has Daytime Running Lights to help keep it more visible under all conditions. Canadian government studies show that driving with lights during the day reduces accidents by 11% by making vehicles more conspicuous. The Mustang doesn’t offer Daytime Running Lights. The Accord Coupe’s optional lane departure warning system alerts a temporarily inattentive driver when the vehicle begins to leave its lane and gently nudges the vehicle back towards its lane. The Mustang doesn’t offer a lane departure warning system. The Accord Coupe offers available parking sensors to help warn the driver about vehicles, pedestrians or other obstacles behind or, for the Accord Coupe Touring in front of the vehicle. The Mustang doesn’t offer a front parking aid. Both the Accord Coupe and the Mustang have standard driver and passenger frontal airbags, front side-impact airbags, side-impact head airbags, front seatbelt pretensioners, plastic fuel tanks, four-wheel antilock brakes, traction control, electronic stability systems to prevent skidding and rearview cameras. Hip Force 561 lbs. 693 lbs. For its top level performance in all IIHS frontal, side, rear impact and roof-crush tests, and with its optional front crash prevention system, the Insurance Institute for Highway Safety grants the Accord Coupe the rating of “Top Pick” for 2017, a rating granted to only 103 vehicles tested by the IIHS. The Mustang was not even a “Top Pick” for 2016. The Accord Coupe offers an optional Collision Mitigation Braking System, which uses forward mounted sensors to warn the driver of a possible collision ahead. If the driver doesn’t react and the system determines a collision is imminent, it automatically applies the brakes at full-force in order to reduce the force of the crash or avoid it altogether. The tC doesn\'t offer collision warning or crash mitigation brakes. The Accord Coupe’s optional lane departure warning system alerts a temporarily inattentive driver when the vehicle begins to leave its lane and gently nudges the vehicle back towards its lane. The tC doesn’t offer a lane departure warning system. The Accord Coupe offers available parking sensors to help warn drivers about vehicles, pedestrians or other obstacles behind or in front of their vehicle. The Accord Coupe also has a standard backup monitor to help drivers see any and all obstacles behind their vehicle. The tC doesn’t offer any parking assist system. The Accord Coupe’s blind spot mirrors use wide-angle convex mirrors mounted in the corner of each side view mirror to reveal objects that may be in the driver’s blind spots. The tC doesn’t offer a system to reveal objects in the driver’s blind spots. Both the Accord Coupe and the tC have standard driver and passenger frontal airbags, front side-impact airbags, side-impact head airbags, front seatbelt pretensioners, front wheel drive, plastic fuel tanks, four-wheel antilock brakes, traction control and electronic stability systems to prevent skidding. For its top level performance in all IIHS frontal, side, rear impact and roof-crush tests, and with its optional front crash prevention system, the Insurance Institute for Highway Safety grants the Accord Coupe the rating of “Top Pick” for 2017, a rating granted to only 103 vehicles tested by the IIHS. The tC was not even a “Top Pick” for 2016. Both the Accord Coupe and the 6 Series have standard driver and passenger frontal airbags, front side-impact airbags, side-impact head airbags, front seatbelt pretensioners, plastic fuel tanks, four-wheel antilock brakes, traction control, electronic stability systems to prevent skidding, daytime running lights, rearview cameras, available crash mitigating brakes, lane departure warning systems and front parking sensors. For its top level performance in all IIHS frontal, side, rear impact and roof-crush tests, and with its optional front crash prevention system, the Insurance Institute for Highway Safety grants the Accord Coupe the rating of “Top Pick” for 2017, a rating granted to only 103 vehicles tested by the IIHS. The 6 Series has not been tested, yet. The Accord Coupe has standard Active Head Restraints, which use a specially designed headrest to protect the driver and front passenger from whiplash. During a rear-end collision, the Active Head Restraints system moves the headrests forward to prevent neck and spine injuries. The RC doesn’t offer a whiplash protection system. Both the Accord Coupe and the RC have standard driver and passenger frontal airbags, front side-impact airbags, side-impact head airbags, front seatbelt pretensioners, four-wheel antilock brakes, traction control, electronic stability systems to prevent skidding, daytime running lights, rearview cameras, available lane departure warning systems and front parking sensors.